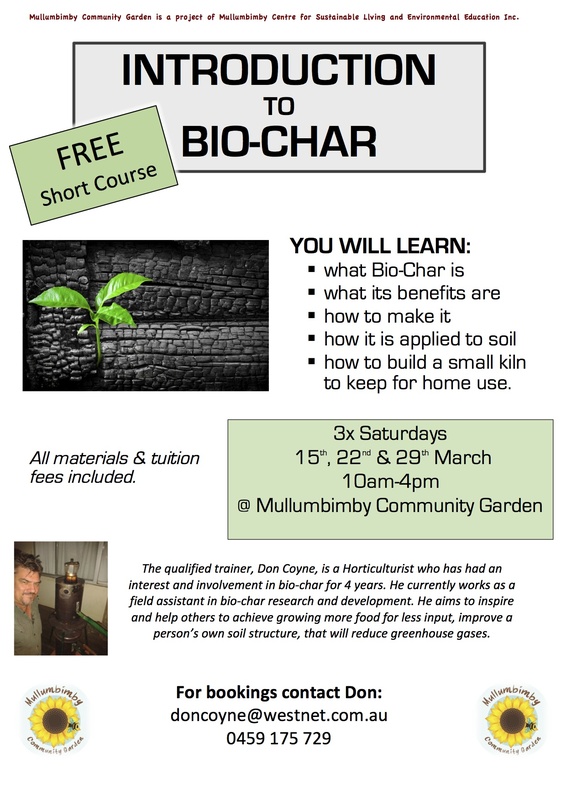 Hey Folks Don Coyne from Mullumbimby community gardens has put together this Biochar introduction to help folks learn about Biochar. Biochar is a 2000 year old product. It has been used in farming processes and is known for its health benefits. Biochar helps fight the effects of petrol and other leading causes of global warming and turns plant waste into Biochar lowering methane levels. There are probably more things unknown about Biochar than what we currently know about it. 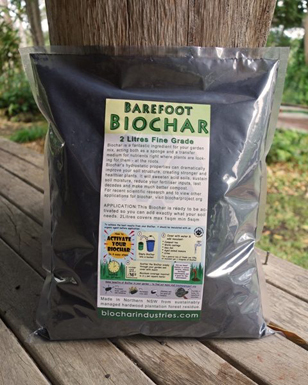 If you think Biochar can do something, you’re probably right! 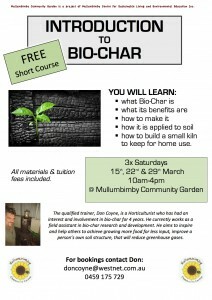 Its powers push the limits of our knowledge to a new level as we unlock the benefits of Biochar. The amount of things it can do range from natural organic boost for growing greens to the health benefits that come with drinking it. For water cleaning, it’s as simple as putting it in a linen bag and dipping it in your dam or tank to collect all the pathogens. In concrete Biochar gives a lot more strength as a render. It creates a more breathable material in humid weather. BiocharProject.org spreading the word about biochar since 2009.